White Whiskey, a.k.a. “White Dog” or “Moonshine”, is simply whiskey that has just touched the dark side of a barrel. Using organic Maine grown oats and a bit of malted barley, we cook up a great batch of sweet, creamy oatmeal and then ferment it using fresh brewers yeast. During distillation we coax out all the alcoholic goodness, while retaining aromas of fresh oatmeal and a creamy mouth-feel. 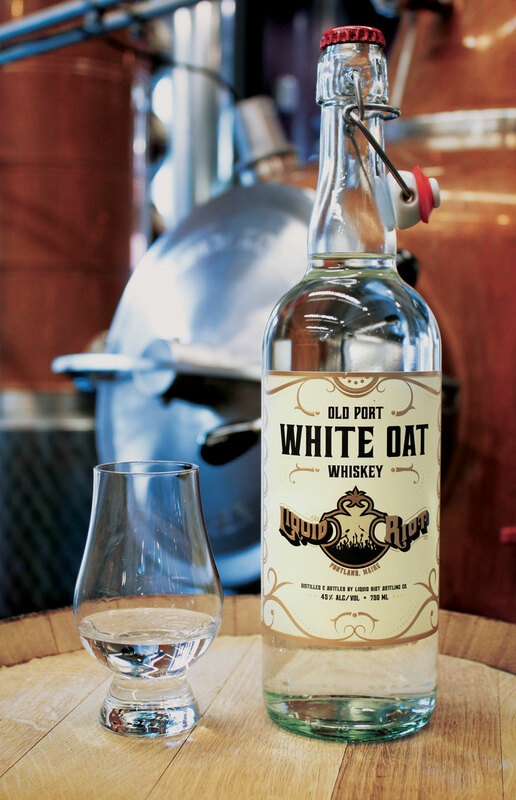 From the farmers’ fields, to our portside distillery, we offer our White Oat Whiskey.